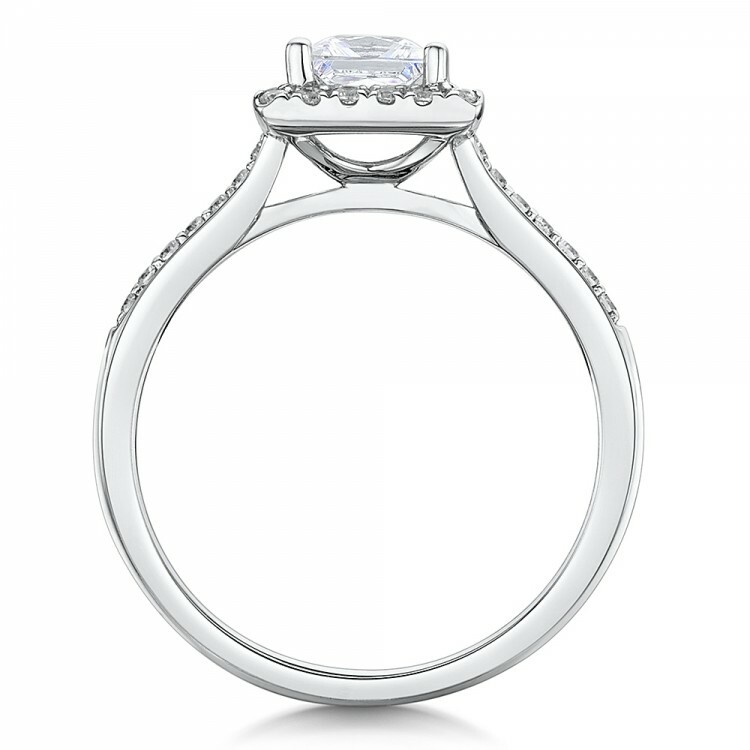 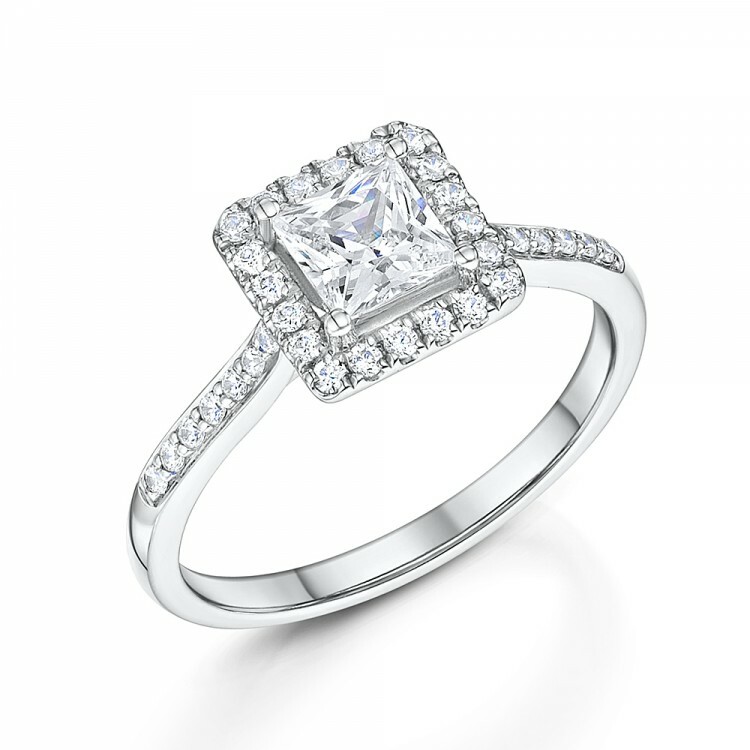 Princess-cut Halo diamond engagement ring from our Halo Engagement Collection. 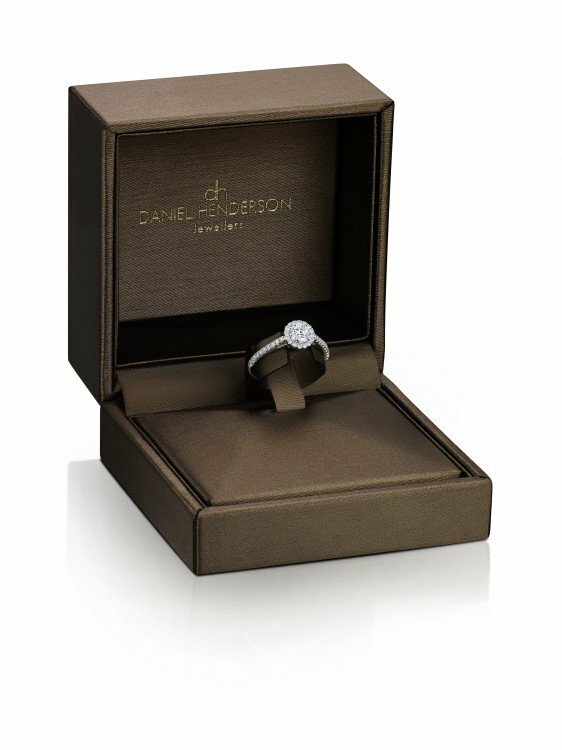 Delicate Princess-cut engagement ring set with a 0.75ct centre Princess-cut Diamond and a surrounding 0.29ct small diamonds which flow down onto the shoulders. 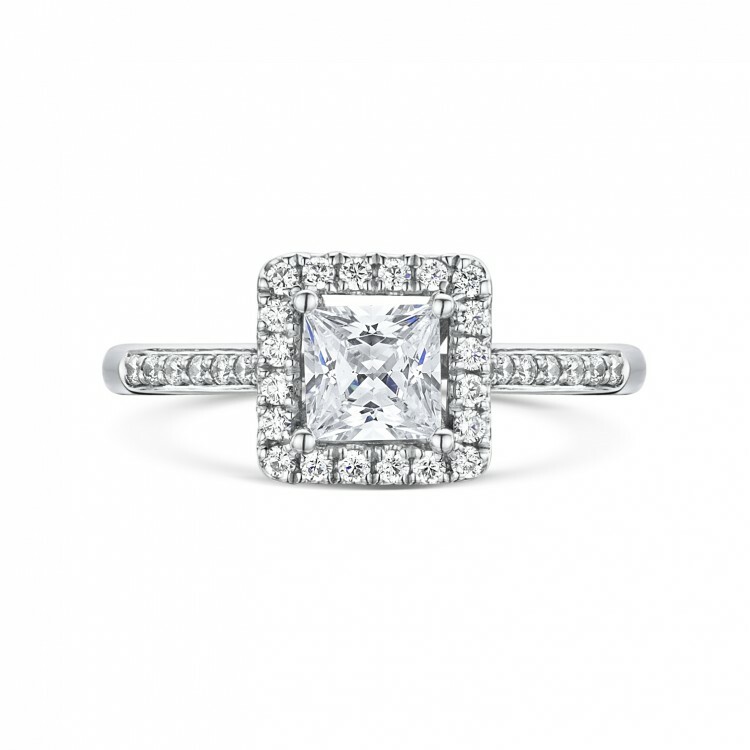 Total weight 1.04ct.